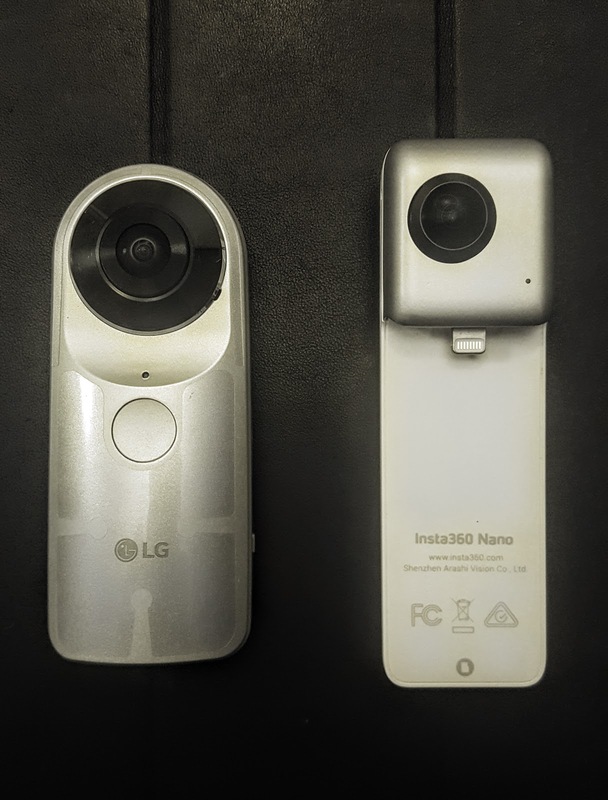 There are now many 360 cameras, but the Insta360 Nano (reviewed here) and the LG 360 Cam (reviewed here) stand out as two affordable fully spherical 360 cameras that offer the best value in their class. How do they compare to each other? In this post, I’ll compare real world sample photos. In a follow-up to this post, I’ll compare real world sample videos. In part 2 of this post here, I compare sample videos. 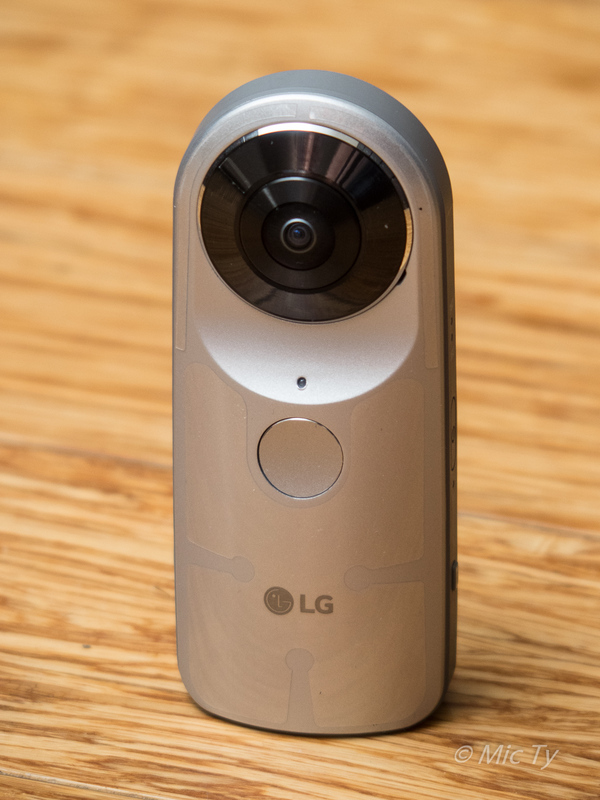 The LG 360 Cam is a fully spherical 360 camera that was announced in January. Initially, pundits commented that it appeared to copy the popular Ricoh Theta. However, it made headlines in March when its price was revealed: just $199 – at that time, the most affordable fully spherical 360 camera by a huge margin (the Theta was $350). The LG 360 Cam works with both Android and iOS. You don’t need an LG phone to use it. The Insta360 Nano is a fully spherical 360 camera that attaches to an iPhone. It is the first 360 camera that can attach directly to a smartphone. 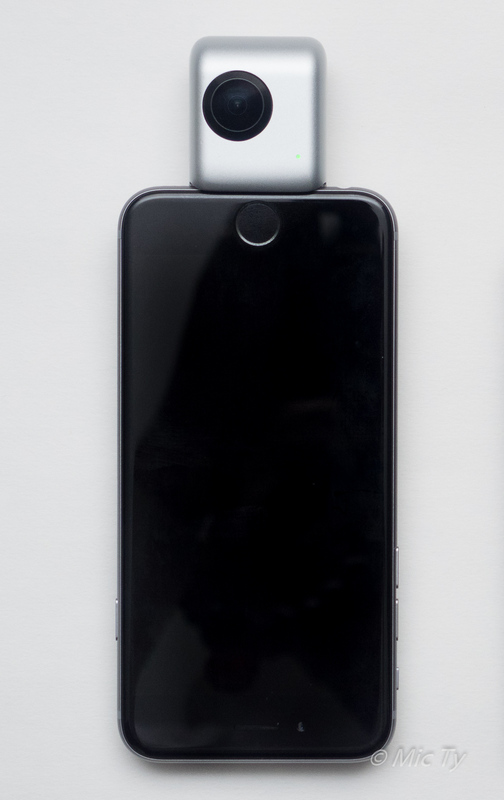 By attaching the Nano to an iPhone, you can use the iPhone’s large screen for previewing shots, and you can use the iPhone’s touchscreen interface to control the Nano. It is designed to simplify the capture and sharing of 360 photos. The Nano is also unique in being able to livestream wirelessly without the need for a PC. The Nano is also competitively priced at $199. video resolution: 3040 x 1520 @ 30fps. compatible with iPhone 6 series. Because the Nano is not compatible with Android phones, it is not a direct competitor of the LG 360 Cam. However, for iPhone users, the LG 360 Cam and the Insta360 Nano are the best 360 cameras in the affordable camera segment right now. Let’s check out how their photos compare in different scenarios. All of these are straight-out-of-the-camera with zero edits. Which do you like better – A or B? If you’re wondering, in these comparisons, A is the LG 360 Cam and B is the Insta360 Nano. – The Insta360 Nano has better flare resistance. – The LG 360 Cam has much more controlled chromatic aberration (purple fringing). – The Nano and the 360 Cam have different styles of images. Colors on the Nano are more saturated, contrast is higher, and the image has been sharpened. – The LG 360 Cam photos are more natural. Colors are less saturated, and contrast and sharpness are more neutral. – In low light, the LG 360 Cam has higher chroma noise (color blotches). However, this is not the end of the comparison. I will also be posting sample videos from these two cameras (taking a while to render on my old laptop). Update: the video comparison is here.